Nutritec's Blood Chemistry Software is NOW AVAILABLE! Download the latest update from Nutritec and contact us to order. you'll receive all Announcements, Special Offers and Free Teleconference Reminders. Thank you for your support! Books, DVDs, CDs, Posters, Etc. View cart “Protomorphology” has been added to your cart. A reprint of Dr. Lee’s “Personalized” treatment recommendations. This manual looks at pathology and disease. After some introductory material, it presents an alphabetical list of most illnesses. Included under each listing are: a general description, treatment support, physiological considerations, synergistic use of products with suggestions and recommendations. A highly recommended “source” for the practitioner developed by the “nutritional genius” himself. The Therapeutic Food Manual and Symptom Survey manual go together spotlighting pathology and disease or Signs and Symptoms. *Please note: Clinical books are only available for practitioners. The original information with updated names, in alphabetical order. Get Dr. Lee’s original guideline and recommendations for the use of whole food concentrates. Using the core products of Standard Process this manual gives an in-depth presentation on each of those products from the functional model. 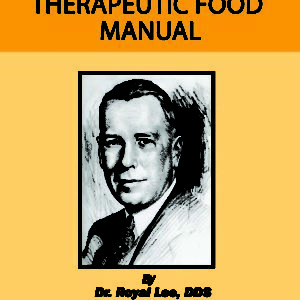 This manual gives insights that help you understand how Dr. Lee’s approach the therapeutics use of whole food nutrition, outlining physiological considerations, synergistic use of products as well as clinical suggestions. The clinical reference guide is a good place to start, but if you’re serious about clinical nutrition this manual is a must. 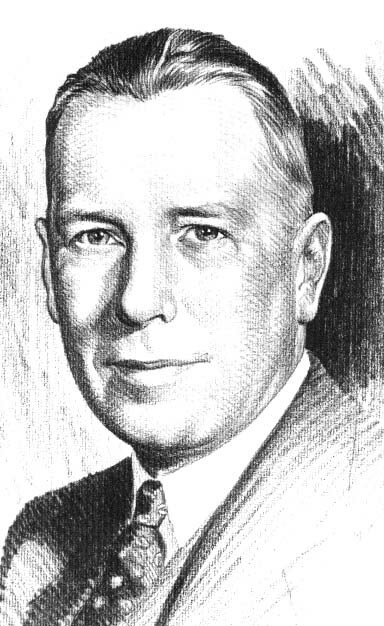 These transcriptions of Dr. Lee’s taping of his “Fireside Chats” provides insight into the man himself. It records Dr. Lee’s response to a wide range of questions on nutrition. There is a very informative introduction as well as discussion about each of the “early” Standard Process products. 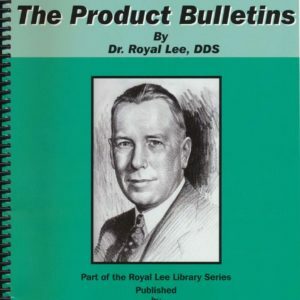 A valuable addition to your Dr. Royal Lee library. 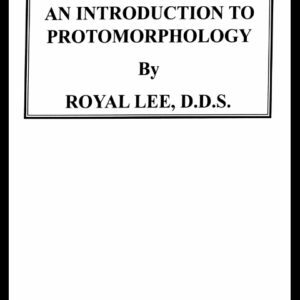 This is the original background material providing insight into Dr. Lee’s understanding of cell bio-chemistry and its relation to health. Written in the 1940s, it is a well-documented summary of how the cell functions. It draws on most of the research information available at that time to display the genius of Dr. Lee. An understanding of protomorphology is essential to provide complete nutritional support. This reprint provides additional information to the practitioner about how to use some of the Standard Process products in a clinical application. It contains various research papers, separate “articles” written by Dr. Lee, and a background on foods, vitamins, minerals, and food concentrates. It then presents the original “products manual” information, listing the following: use, application, composition, specific effects, administration, contradictions, and how supplied for each of the “early” products. 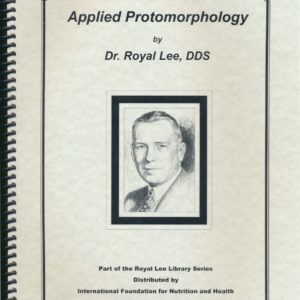 This book covers Dr. Royal Lee’s personal selection of peer-reviewed articles from 1933 to 1956 that used real, whole foods in their research. Most of the public today fail to realize that this early research had two common denominators: 1. The use of whole foods for vitamin studies instead of synthetic chemical byproducts and 2. the observations of the researchers were empirical – not based on animal studies later dictated by the FDA and the pharmaceutical companies. These articles offer a wide range of topics Dr. Lee thought were necessary for the practitioner to understand to help them be able to apply nutrition in their practice. All missing articles have now been recovered and included in this new version, plus for the first time, a complete index and table of contents. You’ll find the peer references surprising and wonder how it got lost. This pamphlet was transcribed from a lecture by Dr. Royal Lee. It was delivered to a meeting of physicians and dentists in April, 1956 for The American Academy of Applied Nutrition. 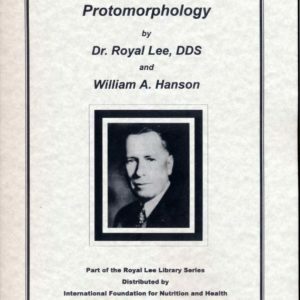 Through Dr. Lee’s own words, he explains in very understandable terms the meaning of protomorphology and the nutritional benefits of protomorphogens. This pamphlet should be your first read in the protomorphology series. For those trying to understand the benefits of the use of protomorphogens, as well as the difference between whole desiccated cell products, this is an excellent place to start. 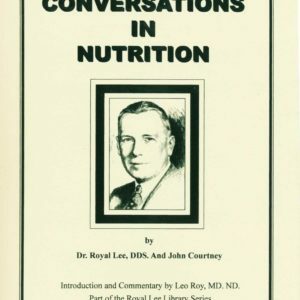 Dr. Lee and the Lee Foundation encouraged all practitioners interested in nutrition to read this pamphlet. 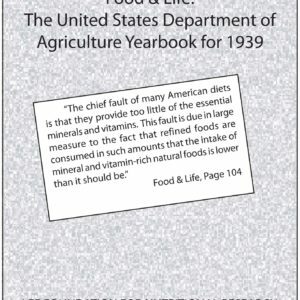 Food and Life was the yearly journal published by the American Agricultural Department. 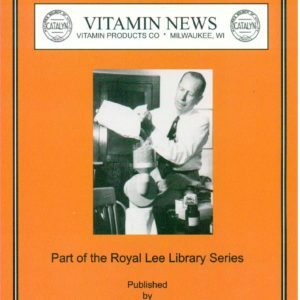 This pamphlet is made up of excerpts removed from the journal in 1939, reflecting the agricultural department’s feeling about vitamin deficiencies and how it related to disease. Unfortunately, after this publication was released the agricultural Department took a very different turn in what they published due to special interest groups. Patient Support – CDs, Charts, etc. Patient Support CDs, Charts, Etc.